Our award-winning summer camps are located in the perfect outdoor campus. It is the ideal way for young boys and girls (age 10-15) or kids with their families to learn to master and enjoy the sport of fly fishing. 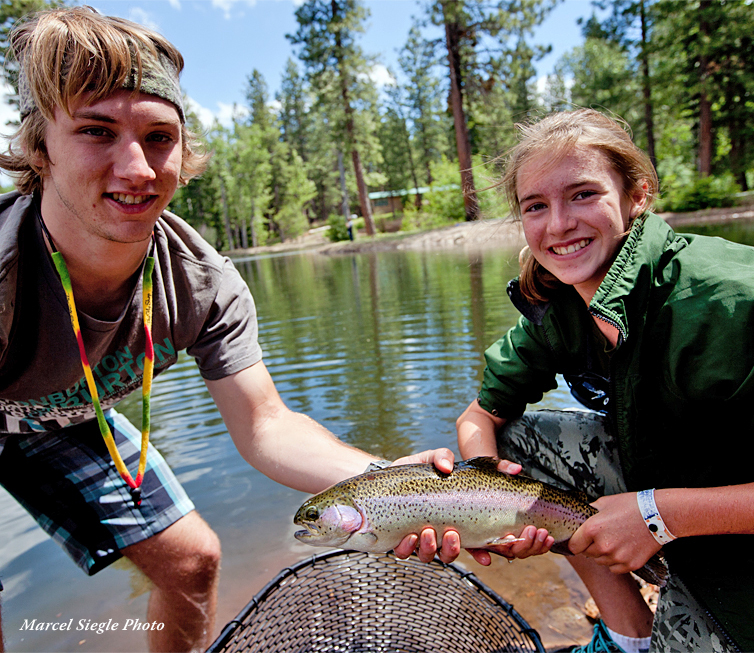 Whether sending your child or taking the whole family, your have a 4-night, 5-day stay at Antelope Creek Ranch FishCamp™ where you will learn fundamentals casting, fly fishing techniques, fly tying, and outdoor skills that will stay with them the rest of their lives. 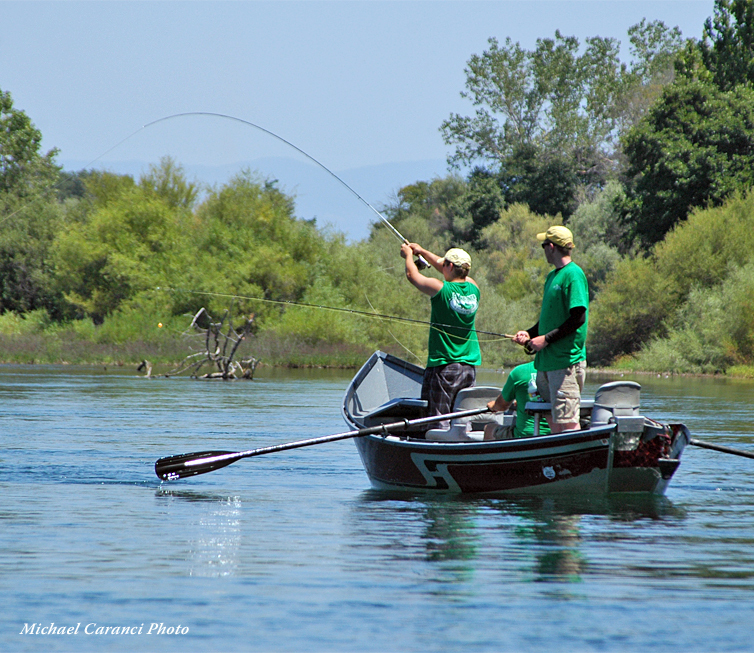 You’ll meet other anglers with the same interests and have a ball catching (and releasing) lots of trout in our fish-filled stream and our productive lakes on flies tied by the campers. 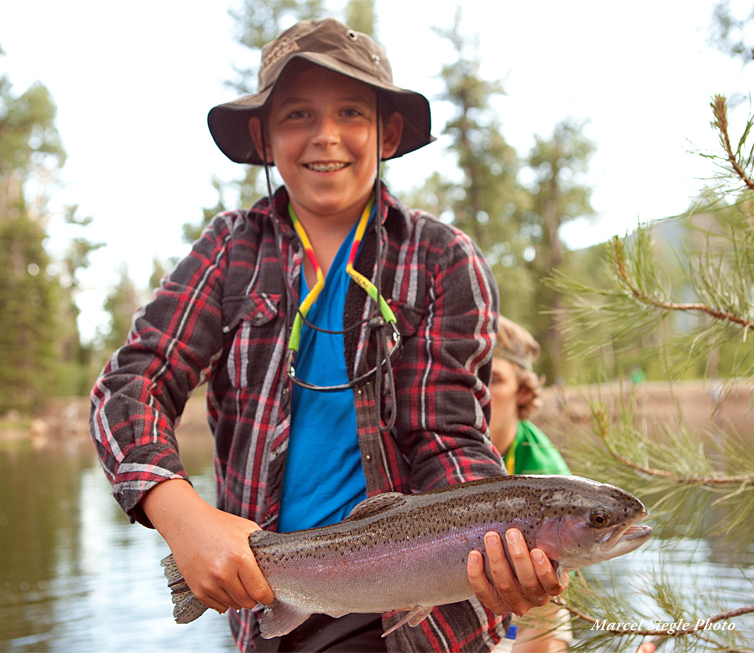 During their 5-day stay at Antelope Creek Ranch, campers are supervised by professionals, taught by patient experts, and surrounded by miles of private stream and fish-filled lakes that provide the ideal fresh-air classroom, reinforcing instruction with angling action. 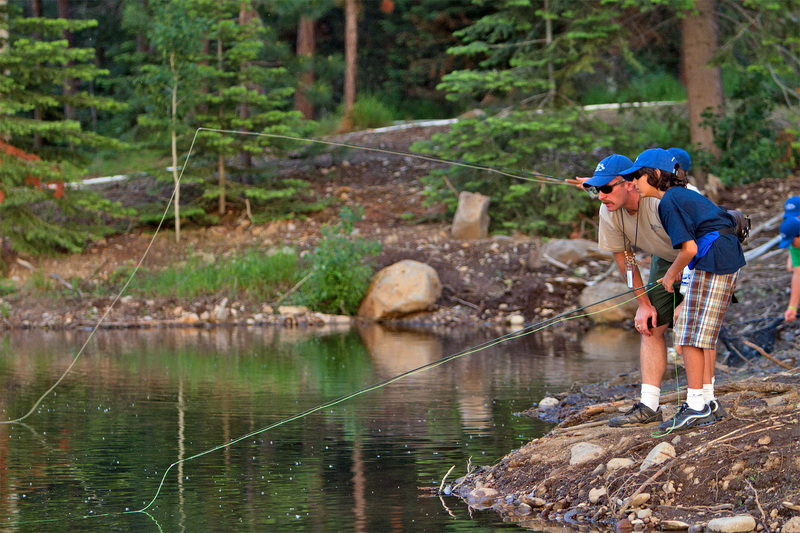 Advanced FishCamp™ is ideal for those campers who have previously attended FishCamp™ and wish to expand their knowledge and passion for the sport of fly fishing, or for older kids who may be new to FishCamp™ but who have a fair amount of previous experience with fly fishing, fly casting, and fly tying. Scholarships for FishCamp™ are offered by several wonderful clubs, companies and organizations. We will be posting these scholarship applications as they are available. Please check back regularly for additions to this page. 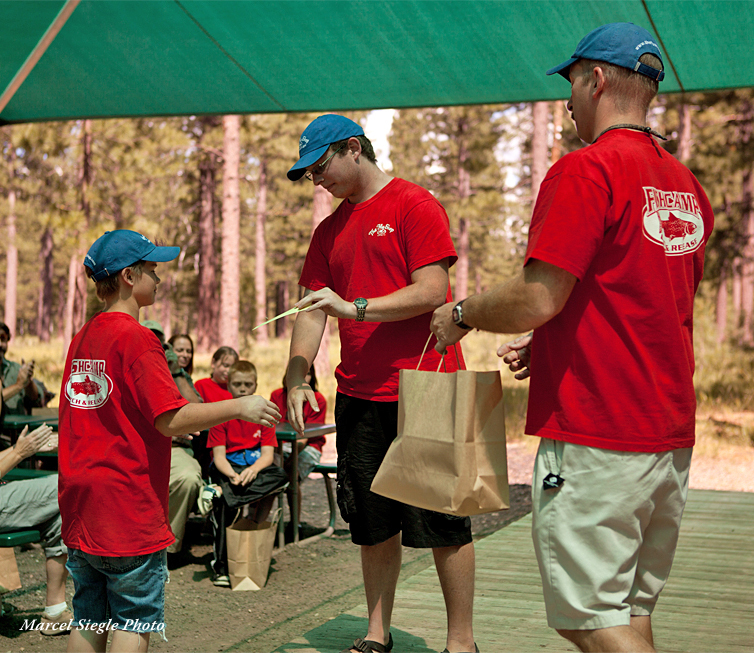 Have questions about sending your kids to camp? 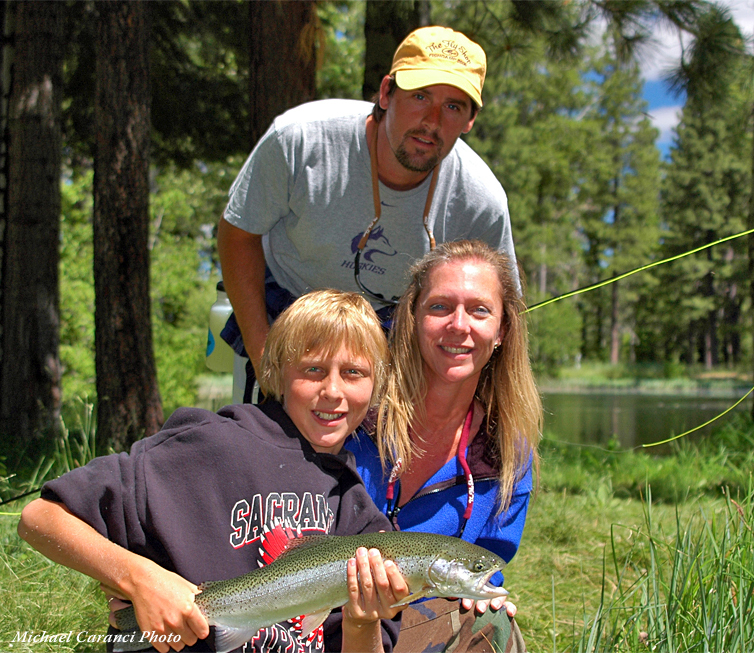 Finally, an answer to all those questions you may have about our fishing camps for kids. This is a list of the most frequently asked questions we have received over the many years we've run camps.